I reallyy need to get over this. It doesn't help that I get to play this anywhere; on my bed, in the kitchen, while watching movies, while reading notes. Sheesh. ahaha sape la yg leh lwn godaan game tuh...kalo men 2jam n berhenti tuh dah kire hebat la cik trah.. It doesn't help that I get to play this anywhere; on my bed, in the kitchen, while watching movies, WHILE READING NOTES.Sheesh. 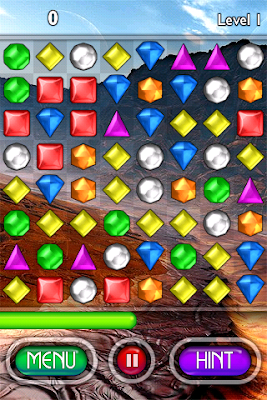 tula psl..dahla tgh exam.sape yg blh resist main bejeweled ni mmg tabik ah.